Elizabeth resides in Los Angeles, but returns often to her native Salt Lake City. She currently works full time from her professional home studio as a voice actor and dialect coach. Proficient in over 20 accents/dialects, Liz regularly coaches actors nationwide–in person as well as via Skype. She has appeared in many plays and musicals along the Wasatch Front and still considers live theatre to be her preferred medium. For 12 years, Liz worked at the University of Utah developing resources to most effectively assist artists in achieving their career goals. She researched and gathered 4000+ effective arts career web links and developed several of her own unique arts career tools–the most comprehensive collection of arts career resources anywhere. In addition to web resources, she offers career consulting services to aspiring and emerging practitioners in all areas of performing, visual, and film/media arts. Training: Vocology Certificate (National Center for Voice & Speech); BA Theater, (University of Utah); British American Drama Academy (Oxford Acting Program). Memberships: PAVA (Pan American Vocology Association); Lessac Institute; Certified Change Leader (Utah Division of Arts & Museums). I have always had a strong desire to create. I have been in the steel making industry for over 27 years and for the last three years I have been creating unique one of a kind sculptured bells for both home and garden that are not only beautiful, but functional as well. These sculptured bells are made from 100% recycled materials that might otherwise be discarded in our landfills and junkyards. All have a natural rust finish for any decor. Use them to call your family to dinner at the ranch or cabin, or ring just for the joy of hearing the lovely expressive tones. They may also be used in a entry way to announce the arrival of guests or family. In any setting these elegant pieces will be an unusual and eye catching addition.I am curntly in the Juniper Sky fine arts gallery located in the coyote gulch court – Kayenta, Ut (www.coyotegulchartvillage.com) and also Palmers Gallery SLC, UT. Rob Adamson received his BFA with an emphasis in painting and drawing from the University of Utah in 1992 and his MFA in painting and drawing from Brigham Young University in 2007. Rob is an Associate Professor at the Salt Lake Community College in the Visual Art and Design Department. His work has been displayed in many shows throughout Utah including several one-person shows. He has also shown his work at the Springville Museum, Bountiful/Davis Arts Center, Museum of Church History and Art, and St. George Art Museum. Rob was named artist of the year for Art and Soup 2000. Rob is a member of The Plein-Air Painters of Utah. Rob is represented by Southam Gallery and also works from commissions. Ellen Adamson – Costume Mistress Ellen is the Costume Mistress at the Academy of Performing Arts. From age 7 to 67, Ellen has always taken the blue ribbon for her costume creations! Ellen is a loving mother and grandmother who has always adorned her children in prize winning costumes in parades, Halloween costume contests and winter carnivals. Ellen was a headline performer in the 60’s throughout the Western United States. She has always possessed an ability to entertain an audience with her talent in dance, costuming, music, and sets, and was featured on Art Linkletter and Paul Harvey. Ellen has worked as a psychiatric nurse and was the co-founder of a program working with troubled teens. Throughout the years, Ellen has worked with various charitable organizations and has designed several prize winning parade floats. She has been with the Academy from its inception, lending her superior talents for their creative, stunning costumes in productions such as the Little Mermaid, Jungle Book, and The Lion, the Witch, and The Wardrobe. Like many of you, I have been trained in the classroom, the goal of which was to make me think, but I consider my personal photographic training in the mountainous and desert regions of the Western United States the most valuable because it has taught me to see. Like many of you, I have an insatiable desire to travel and explore new places and concepts. Light affects the world and individuals in so many ways: it illuminates everything that is beautiful, from a human face to a rugged mountain range. Please enjoy everything that is natural even more than you do, and I hope to see you sometime in the canyons of the U.S. or the faraway places of the world. Héctor Ahumada is a Chilean artist, a naturalized US citizen. Recipient of Salt Lake’s 1996 Mayor’s Literary Award in Literature, first place in Canto Hispano, Human Pursuits 1995, and an Honorary Mention from Arica University, Chile in a poetry contest for non academic poets. In Chile he studied at the Viña del Mar Fine Arts School, the State Technical University, and in the United States he studied at Brigham Young University and the University of Utah. He works at the University of Utah Hospital in Diagnostic Radiology as Quality Control Coordinator, and teaches Spanish at the University Long Life Learning Program. Ahumada’s poems have been published in Great and Peculiar Beauty: A Utah Reader, Hispanic Cantos: A Collection of Utah Latino Poetry, The Crossroad Anthology, and Weber State University, and City Art literary journals, Bluff Fandango Anthology 1998-1999, Deseret News, Venceremos, Echo Canyon, and Mission San Francisco newspapers. 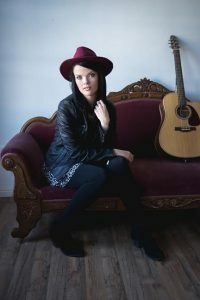 Katie Ainge is an Americana songwriter based out of Salt Lake City, Utah. She has toured nationally with her live performance of classic rock and country songs along with her catalogue of original songs. Katie Ainge’s song ,“Fond of You”, can be found in Season 5 episode 18 of “The Fosters.” 2018 will bring a new release called “Ashes EP” with a darker full band sound decidedly taking Katie Ainge’s music in a different direction. Flutist Leslie Timmons and clarinetist Nicholas Morrison have performed as the duo ~AirFare~ since 1992. One of only three classical music ensembles funded in 1999 by the United States Information Agency’s American Artists Abroad Program, ~AirFare~ undertook its first international tour in 1999 with performances and masterclasses in Port-au-Prince, Haiti, and returned in 2000 under the State Department’s American Cultural Specialists program. ~AirFare~ has presented sessions for the American Orff-Schulwerk Association, the Utah Music Educators Association, the National Association of College Wind and Percussion Instructors and the Music Educators National Conference. They won second prize in the National Chamber Music Competition sponsored by the National Flute Association in 2000. Recent appearances include the University of Kansas (Lawrence), the Office Building of the United States Senate, University of Missouri—Kansas City, Whitman College, Eastern Washington University, Z-Arts! of Springdale, Utah, and San Diego State University. The duo has presented concerts and/or masterclasses in Utah, Idaho, Wyoming, Florida, Virginia, Washington, and Montana, appears on the Utah Arts Council’s Utah Performing Arts Tour and on the Council’s Artists-in-Education Roster, a peer-reviewed educational resource for the inter-mountain west, and is supported, in part, by a grant from the Target Corporation. 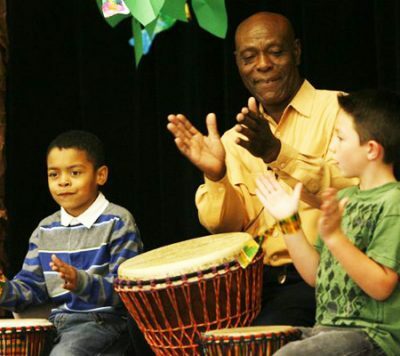 Rather than simply playing for young audiences, their school performances and residencies are designed to involve students actively in the performance. Their combined experience in elementary music, secondary instrumental music, university applied teaching and conducting, and teacher preparation allow for residencies to be structured to include students at all levels. Temria Airmet holds a BFA in Modern Dance from the University of Utah. She is currently performing in works by Ching-I Chang. Airmet is also the Co-Director of Salt Lake’s Myriad Dance Company alongside Ashlee Vilos. Airmet’s recent choreographic works have been shown at The Salt Lake City Library and The Sugar Space Studio for the Arts. As an actor, Narlene’s credits include The Pirated Penzance (The Kennedy Center for the Performing Arts, Pioneer Theater Company, The Grand Theatre & Weber State University) Man of La Mancha, Children of Eden, Maury Yeston’s Phantom (The Grand Theatre), The John Singer Story, Beehive, Do Black Patent Leather Shoes Really Reflect Up? (Egyptian Theater Company), Did Father Go Home to Mother in Heaven? (Salt Lake Acting Company) The Secret Garden, Into the Woods, My Fair Lady, The Mystery of Edwin Drood, Evita (Utah Musical Theater), Cinderella & Rumpelstiltskin, (Storybook Players.) As a director, Narlene’s credits include Anne of Green Gables, The Secret Garden & The 1940’s Radio Hour (The Grand Theatre,) The Taffetas & Once on this Island, (Heritage Theater), School House Rock Live (Rodgers Memorial Theater)As a musical director, her credits include The Secret Garden, 6 Women with Brain Death, Into the Woods, & Carousel, (Weber State University Department of Performing Arts), Working (Clearfield High School) and Cinderella (Davis Arts Council.) As an educator Narlene has been involved with children’s theater and arts education for over 15 years. Her credits include Program Development Director for Kids Act Up (Weber State University), Director of the Youtheather Summer Camp and year round classes in conjunction with the Park City School District (The Egyptian Theater Company. ), Davis County School of Performing Arts, Ogden City Dee School, Highland Middle School, Wasatch Playhouse & Ogden Cty/Weber County Gifted and Talented summer workshops. Narlene also owns a private vocal studio and has been teaching for 17 years. 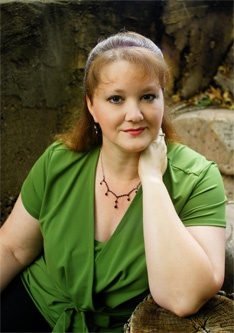 Her extensive vocal training and experience in classical technique, as well as all forms of musical theater and crossover styles including pop/country and theater belt and mix belt have made her the most sought after vocal coach in the Wasatch front area. I currently have openings available in my private studio. If yo are interested in studying voice, feel free to contact me. I’d love to work with you. Have performed professionally in many mediums. MIME, Modeling, acting,singing and dancing. I have been involved in TV movies and on the stage. I have taught classes in the performing arts as well. Artistic Director and Conductor of the Salt Lake Choral Artists in Salt Lake City, Utah, Dr. Brady R. Allred has developed “an international reputation for excellence.” Under his direction the Salt Lake Choral Artists, a non-profit arts organization of seven choirs and over 300 singers, has achieved critical acclaim for their innovative concerts, Summer Choral Institute program, international tours, iTunes and YouTube channels. Dr. Allred was honored by The Salt Lake Tribune and named as one of Utah’s Top 25 Cultural Power Brokers. Known around the world for “exquisite choral singing,” Dr. Allred’s ensembles have been invited to participate in major festivals and competitions around the world. They won the Grand Prize at the Florilège Vocal de Tours (France), the European Grand Prix, and First Prizes at the Marktoberdorf International Chamber Choir Competition, the Tolosa (Spain) International Choir Competition , and the Concorso Polifonico Internazionale in Arezzo, Italy. He was also awarded the Conductor’s Prize in Marktoberdorf, Germany. The Salt Lake Vocal Artists represented the USA at the World Choral Symposium in Argentina and have recently toured to Bulgaria, Turkey, and Japan. They were also featured performers at the American Choral Directors Association 2015 National Conference and the 2015 Festival Chor Biennale in Aachen, Germany. They will represent the USA at the first World Choral Expo in Macua, China in November 2015. Prior to his full-time appointment as Artistic Director of SLCA, Dr. Allred was Professor of Music and Director of Choral Studies at the University of Utah. He was also the Music Director and Conductor for the Butler Symphony Orchestra in Pennsylvania, Director of Choral Activities at Duquesne University in Pittsburgh, and Artistic Director and Conductor of the Bach Choir of Pittsburgh. He has been a guest conductor for the Schumann Chamber Orchestra in Italy, the Wroclaw Philharmonic in Poland, the Symphonic Orchestra of the Russian Ministry of Defense, the Salt Lake Mormon Tabernacle Choir, Vox Gaudiosa of Tokyo, the New Israeli Vocal Ensemble, Oslo Voices in Norway, the Taipei Youth Choir in Taiwan, and the National Youth Choirs of Sweden, Norway and Estonia at the Europa Cantat Festival in Hungary. 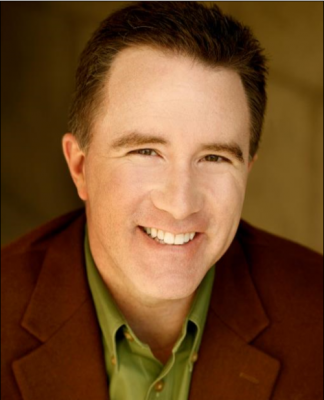 He has performed with the Robert Shaw Festival Singers and the Oregon Bach Festival Chorus under Helmuth Rilling. He has served on international juries for competitions in Austria, Belgium, France, Germany, Ireland, Slovenia, Spain, Brazil, Indonesia, Japan, China, Korea, Malaysia, and Thailand and has conducted over one hundred regional and All-State Choirs. Dr. Allred earned his Master of Music and Doctor of Musical Arts in Conducting degrees from the Eastman School of Music, and his undergraduate degree in Theory/Composition and Flute Performance from Brigham Young University. He and his wife, soprano Carol Ann Allred, have traveled and performed extensively as Artistic Ambassadors for the United States Information Agency. Kalua is a salsa Latin band, We are a band that started with many members from others Latin bands in town now we are together just fusing the sounds of salt lake city,we have played in places like the E-Center, for the Christmas celebration center 2007, also played in Vegas and many clubs!! we are currently playing in latin clubs , we are very classy and have one of the best musicians in town coming from places like the U. Al of us are bilingual we play mostly covers but we have our original music too!!! Fahimeh Amiri grew up in Tehran, Iran. In second grade she became the pupil of Professor Hossein Behzad, then the greatest living Persian miniaturist, and apprenticed with him for many years. She attended the Tehran School of Fine Art, becoming the first girl to earn the schools highest honors. In 1973 she received a BFA from the Boston Museum of Fine Arts/Tufts University. Her art has gained international attention through exhibitions including the New York International Art Expo. 13 internationally distributed original poster designs, and the publication of children’s books, including Cover of Babri by Fahimeh Amiri”Babri,” “The Monkey Bridge,” and “The Prince Who Ran Away.” Her books have been honored by the Society of Children’s Writers and Illustrators, was selected to hand-paint fragrance bottles for Ralph Lauren; is a recipient of the Norman Rockwell Award for illustration; and has been honored for her artistic achievements by Iran’s Queen Farah. Fahimeh is an adept and versatile artist and a very effective teacher. Her specific areas of expertise are picture book design, botanical illustration, Islamic art, graphic design and Persian miniature. The following are sample courses that Fahimeh has taught: Course Synopsis: Picture Book Development Poster by Fahimeh AmiriAll children’s drawing has a narrative dimension, however, these narratives are most often found to exist in fragmented form. The purpose of this course is to harness the narrative imagination of children through the creation and development of a picture book. Students will develop a central character for the story through a focused step-by-step process. In order to encourage creative “flow” students will initially draw various character ideas, and positions for the character. Each drawn position sparks the child’s imagination and gradually a story line begins to form. The child will be taught to organize his or her thoughts with a beginning, middle and end, and to communicate these in the coherent format of the picture book. The creation of the story line allows children to depict aspects of meaning which they may not be able to verbalize. Both creative and artistic talents will be fostered and developed. Children will learn, through identification with the central character and the creative process, to associate with others and to come to terms with them, with themselves, with physical problems, and to make calculations and judgments and choices. Children will, in fact, educate themselves spontaneously. These drawings have powerful feedback, what happens on paper stimulates the child to further imagine and it is this process that will be encouraged in the course. The practice of this exercise may lead not only to mastery but to innovation and invention as well. The aim of the course is to stimulate the child’s creative mind and to expand and extend the child’s drawing vocabulary. An ability to develop a pictorial language is paramount and will rapidly evolve. Book illustration by Fahimeh AmiriFocus and concentration are also heightened as students become deeply involved with the subject matter of their storybook, including identification with the protagonist and the environment or setting depicted. The picture book draws children into their subject matter in a manner that could not be achieved through art or story telling alone. By the end of the course students will have a completed picture book to share with friends and family reflective of his or her achievement. Each re-telling of the story reinforces expression and builds the child’s self esteem. Please call Fahimeh for up-to-date course specifics with regards to course price and length of study. Persian Miniatures: This class will introduce students to the exotic art form of Persian miniature art. This class will provide student with specific technique and skill development as well as give students a contextual understanding of the cultural and religious influences behind this art form. Students will develop a heightened appreciation for the form and will given the tools so that they may practice this art form for years to come. Botanical Illustration: Oil, Acrylic, Watercolor Working from drawings and live plants and flowers, capture the essence of spring. 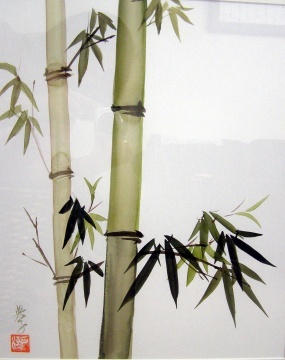 We’ll focus on brushwork, technique, and composition and examine details specific to botanical illustration. All levels and painting mediums are welcome. I am a singer/musician that plays primarily shows for young audiences. I have a band called, "Imagine That" which takes younger audiences on little musical adventures and a band called, "Wonderdog" which plays pop/rock shows with positive lyrics for tweens. Each of my bands feature extremely talented musicians with a knack for entertainment. Ashley Anderson holds B.A. 's in Dance and English from Hollins University as well as an M.F.A. in Dance from the Hollins/American Dance Festival program. Her recent choreographic work has been shown in Salt Lake City at Sugar Space the City Library and the Capitol Building, in Philadelphia at Mascher Space Cooperative, Studio 34 and Crane Arts Gallery, in Richmond at Art 6, and in New York at Dixon Place and Joyce SOHO. Her work was also presented by the HU/ADF MFA program at the American Dance Festival and the Kitchen (NY). Her teaching includes composition classes for The American Dance Festival Four-Week School, Gwendolyn Bye Dance Center, HMS School for Cerebral Palsy, the American College Dance Festival Association, Virginia Tanner Dance Program and Hollins University. She recently completed a research fellowship at the Colonial Williamsburg Foundation and a residency at the Workspace for Choreographers. Other various activities include: creative/administrative work for the Sugar Space Studio for the Arts, co-coordinating the 2009 Mid-Atlantic ACDFA, dance history research with Dawn Springer, and performing in works by Jen McGinn, Regina Rocke & Dawn Springer. I was born on a small Native American Indian reservation in the 1550’s. My grandmother was a mid-wife, healer, Wisdom Keeper and Medicine Woman. I grew up learning her ways. Later I was adopted by an Ojibway couple. Dad was a Sundance Chief, Medicine Man and healer. After mom had a stroke they moved in with me and we worked together in many communities. I have worked in schools, colleges, universities, remote communities; with at-risk children at large and within closed facilities, and with street gang prevention programs. As well, I worked inside local and federal prisons. Programs often start with a Sharing Circle and making a small craft, such as Dreamcatchers,small pouches, hand-crafted jewelry, and others, while sharing teachings of Co-operation, Kindness, Respect, Sharing, Truth, Honesty and Humility. Programs can be designed to focus on a specific issue, like racism, or environmental respect, as per community needs. 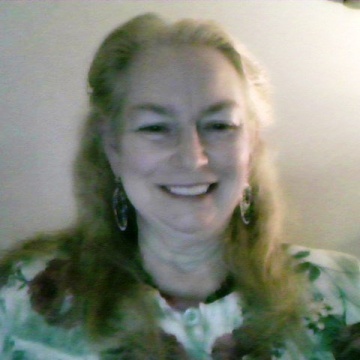 I am also a writer,writing short stories and memories from my youth, as well as many of the legends and myths I learned throughout my life. Currently I am studying as a graduate student in Folklore. I am legally registered to conduct wedding ceremonies designed by the couple to make their ceremony a memorable and lasting memory. Armenian pianist Aram Arakelyan (25) has been studying piano since age 7. Since 14 years old, Aram has performed extensively throughout Armenia. His has won or placed in almost all National and International competitions and festivals held in his native country. At age 17, Aram was invited to come to the United States and participate in the Junior Gina Bachauer International Piano Competition. His performance in Abravanel Hall, Salt Lake City, during this competition marked his debut in America. Aram has since won several competitions in the US including: First Place at the UMTA State Concerto Competition and the Albertson College of Idaho International Piano Competition. Most recently Aram took the Isabel Scionti Award for Outstanding Solo Performance and the First Prize at the Kingsville International Piano Competition in Texas. Aram made his orchestral debut in March 2003 with Maestro Sergio Bernal and the Utah State University Symphony Orchestra playing Saint-Saens Second Piano Concerto. In addition to his solo work Aram is an active accompanist and a chamber musician. He has collaborated with many faculty members of the music department at Utah State University, including Rebecca McFaul (violin), Yi Ching Fedkenheuer (violin), Cory Evans (Tenor) and Jon Gudmundson (saxophone), as well as some of the major ensembles of University of Utah. As of spring 2008 Aram is proud to call the University of Utah his home, where he is currently a scholarship student, studying with Dr. Susan Duehlmeier. Forever Blue is a Folk/Country Duo from Payson, UT. Liz Archibald has been writing songs for the past 10 years and now they can be heard live. Roger Archibald is an Award Winning guitarist. He plays with famous group Ryan Shupe and the RubberBand. Together they sing and perform songs about real life experiences. The singer of R&B and soul known as Yolanda Arrey has released her latest LP record, “The Bayou.” It consists of 15 tracks for an approximate total listening time of one hour. It has been proudly published as an independent release without the direction of the corporate music industry. Built on grooves, blues, beats, and the clarion singing of this contemporary chanteuse from Cameroon, “The Bayou” proves Yolanda Arrey to be one of today’s most evocative singers. Right away “The Bayou” evidences whose singing Yolanda Arrey appreciates most. She cites as her main inspirations Whitney Houston, Billie Holiday, and the Temptations. Yet her style sets her apart from these legends, letting her retain qualities and characteristics all her own. Arrey’s sonic individuality begins at the writing stage. She clearly writes songs with a mind to create new patterns of flow and phrasing while at the same time paying strict attention to the content of her lyrics. This latter artistic principle alone puts Arrey in a select percentage of singer-songwriters, but her natural tones also single her out as a special performer in today’s burgeoning independent music scene. “My album is about the inspiration to press on, to love, to grow and to be thankful,” writes Arrey. “It’s a collective expression of all that we feel when we are in love, both good and bad, joyful and sad. It’s an expression of strength in difficult times and the motivation to press forward in the face of unwavering challenges. 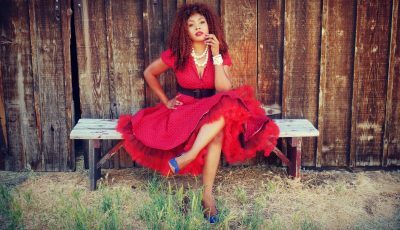 Most importantly, it’s about the freedom to express how we feel at any given time without judgment.” Arrey began her singing career at the age of seven as a songwriter. By nine she had joined several a-cappella groups in Saker Baptist College where she later attended high school in Cameroon and was lead singer-songwriter for the popular dance group, “GST.” Before relocating to the United States at 19, she would sing in many more. She participated in many bands in college, and memorized most of her school studies by making music out of her classroom lecture notes. Writes Arrey, “I have written over 150 songs for others and for myself. It’s a good balance with my nerdy side, and it’s the one thing that keeps me going no matter what else is happening in my life. I am truly grateful for its amazing power.” Yolanda Arrey has collaborated with pop musician Prince of Cats and appears as lead vocalist in his hit 2013 video, “When You Loved Me.” More recently she appeared on her brother Eliel Arrey’s album, “The Essentials,” singing “Your Highness.” Her new record’s title track, “The Bayou,” is co-written by the world-renowned composer, Lawrence Nachsin. “The Bayou” by Yolanda Arrey is available online worldwide at over 700 digital music stores now. Founded in September of 2001, Artists of Utah is a 501 (c) 3 non-profit organization headquartered in Salt Lake City Utah. 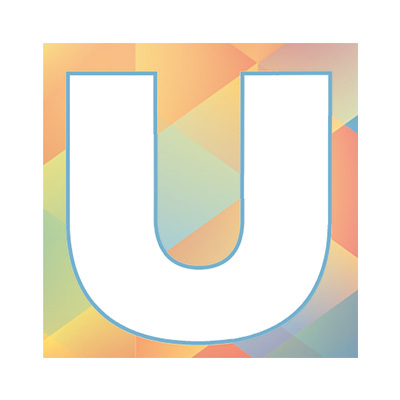 The organization was created to serve as a communication nexus for Utah’s visual arts community. We are made up of artists, art professionals and art lovers and exist to bring the same together in an attempt to foster interaction, education and imagination. Our principle tool for doing this is the internet, which serves to bring together members of the visual arts community from across the state. Our website, www.artistsofutah.org, is continually expanding in an attempt to give greater voice to a wider community of individuals and organizations. Since its inception in 2001, Artists of Utah has published 15 Bytes, an online magazine about the visual arts in Utah. Contributors to the magazine come from the community at large. Youth Program Manager at Momentum Indoor Climbing in Sandy, Utah. Yvette Mignerey Atkin began her ballet training in Colorado at the Arvada Center Ballet School. Later, Yvette trained with the Artistic Director as an apprentice teacher. Yvette graduated from the University of Utah with a BFA in ballet with a teaching emphasis and was the recipient of a departmental scholarship. Yvette has been involved with Mountain West Ballet since 1996 as a rehearsal assistant for various productions and choreographer for “Stars and Stripes”, “An Evening of Ballet”, “Coppelia”, “A Midsummer Night’s Dream” and "The Frog Prince". Yvette is Vice President of Mountain West Ballet School. Autumn is the instigator of Cirkus Pandemonium, salt lake’s resident cirkus troupe. We do aerial silks, trapeze, acrobalance, juggling, hoops, dancing, fire dancing, vaudeville, music and much more! We are avaiable for private parties and public events of all sizes!